Today we have another one of my #BRFs. I met Amy through the BibRave Pro program. We haven't had the chance to meet in person yet, but I sure hope sometime soon. She is a BEAST, in the best possible way. 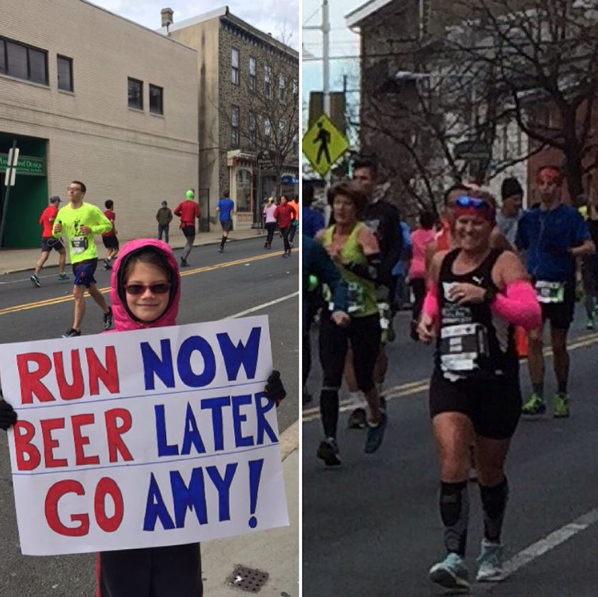 Other than being an ultra marathoner, she is also a mother of two AND loves craft beer. I love interacting with her, whether it's through Twitter or our Facebook group. She has an amazing attitude towards not just running, but life. She inspires and motivates me to be the best I can be, and I really appreciate her friendship. I don't have a ton of friends that get the whole running thing, other than the runners I've met through Twitter and BibRave/BibChat, who are now some of my closest friends. The friends I've had since before starting this whole running thing are still my pals, but they don't quite get it, so it's harder to talk to them about running. It's nice to have a whole community out there that can help with questions, are super friendly and helpful, and are so encouraging ALL the time. I was so happy when Amy agreed to give up some of her valuable time to answer some questions so we could all get to know her better. Here she is! I started running in September 2010. I was always an athlete (swimming, softball) until physical therapy school took away all my time and energy. It was a year after I had my first child, I was so out of shape and didn't feel good. I wanted to be an athlete again but needed to be able to do my sport whenever I could fit it in between work and family. My husband had bought a treadmill the year before so that meant I could easily work out while my son was sleeping. It took a while to be able to actually run full miles and actually enjoy it but the rest is history! Born To Run Ultra was pretty epic. I ran the 100K but they had every distance from 10 miles to 100 miles and now they have 200 miles. It takes place in California on a ranch. It is just a huge weekend long running party. How about toughest race you've ever done (because of weather, distance, injury, etc.)? Velebit Ultra in Croatia. Partly because I ran it about 18 days after I had to get my appendix removed but also the terrain was the most difficult I've encountered so far. It was so steep and so rocky. Really super crazy! Do you have any race day traditions? I must have my coffee and some kind of breakfast, usually a breakfast sandwich or breakfast burrito of some type. Other than that I'm flexible which I need to be with some of the types of races I've been doing lately with crazy start times and staying random places including camping at the race. What is the most important lesson running has taught you? That I am capable of so much more than I ever thought. Before I started running, I truly believed I could not run. I hated running my whole life. I struggled with running the bases in softball and would always take the short cuts when we were supposed to do our pre-practice run. So the fact that I CAN run ultras now just blows my mind. What are some of your favorite running products – for running or recovery? My current main goal is to finish 100 miler. 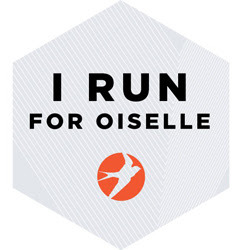 I'm signed up for several races over the winter and spring to help me prepare. I will likely run the C & O canal 100 on April 30th/May 1st but registration doesn't open for a couple more weeks so can't say it's 100% official yet. What's one item you can't go on a run without? My Garmin! I'm so obsessed with all the data! Do you prefer to run in a group or alone? I rarely get a chance to do training runs in a group since I have to just run whenever I can fit it in. I'm sure I would like it but I'm so used to training alone that it's become my "me time" I enjoy the quiet time to myself. But maybe that's why I love doing races so much because I get to be with other runners which is different from my everyday routine. Are you a morning runner? Any tips for those of us who have trouble getting it done in the AM? I have to admit that I'm really not a fan of running in the morning which is just because I LOVE sleep and if I know that I technically don't really have to get up, I will opt for the extra sleep. That said, with a family and a runner husband there are plenty of times that I need to run in the morning if I want to get my run in. My tips for getting it done are to definitely have everything ready, all your gear, anything you might want to eat real quick before you go. Get it all ready the night before. Sometimes I will even have a quick cup of coffee to get me going. I've also on more than one occasion slept in my running clothes. For me it's also a huge thing to know that if I don't run in the morning, I won't be able to run that day and missing a run is not an option for me. 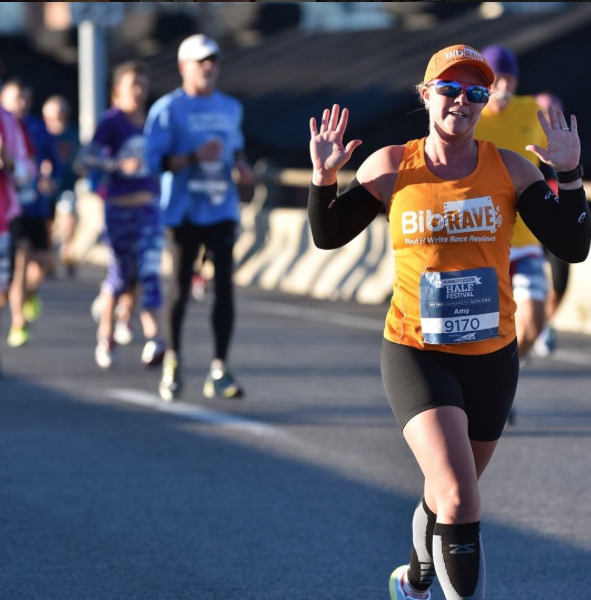 How many marathons have you completed? 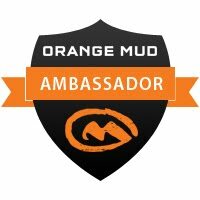 How did you get started/interested in ultra marathons? Any tips for those that are interested in taking on this new challenge? 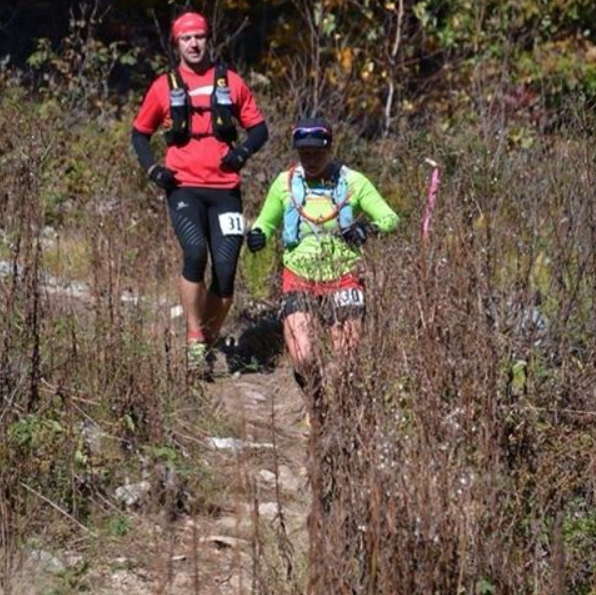 You have two kids and both you and your husband are ultra runners - how do you both get in the training/balance life? It's not always easy and it took a little time to figure it out. We basically plan things out for the week. Decide who's running mornings versus after work. Weekend long runs we take turns going out except for the occasion that they are doing something with my family and we can go run together. There are also plenty of times we do family runs with the double running stroller, usually anything 8 miles or less is manageable with the two kids. I have been known to take our youngest for runs up to 15 miles as she will take a two hour nap in the stroller. Now our son has started to get into running so we try to incorporate him into shorter runs. For the most part, we either try to include them or get our runs done at times that won't affect them like super early morning or nap time. I'm a physical therapist at Einstein Medical Center in Philadelphia. I work there 3 days a week plus 1 weekend day a month. 2 days a week I am a stay at home mom now just to Una since Niko is in first grade. I always thought, and by always I guess the last couple years, that 100 miler was my big goal for the future, many years down the line but then all the sudden here I am on the verge of making that goal so I really haven't had a chance to think much past that. And even though I did get a BQ last year, it wasn't by enough to get into Boston so I still do want to BQ again so I can run Boston. How long have you been a BibRave Pro? What's your favorite thing about being a BibRave Pro? I love being part of the Bibrave community. 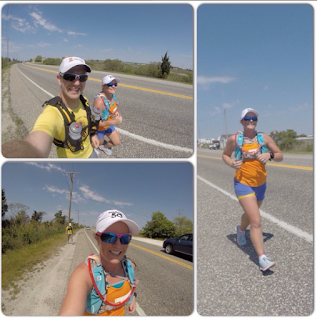 I love interacting with all the pros and with tons of runners during Bibchat. I've also made my two #BRF's because of being a BRP which I'll always be grateful for. Make sure to follow Amy on her fun adventures! 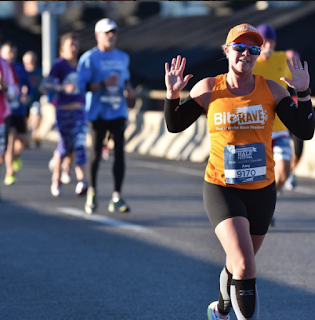 Join the fun BibRave gang for BibChat tonight (Tuesday, December 8) at 8pm CT. The sponsor this evening is Plantronics, and if you're lucky, you might win a pair of BackBeat FIT Wireless Headphones. They are AMAZING. Check out Amy's review or my review. I've tried quite a few headphones, and these are by far my favorite. Still loving them months later and I don't go for a run without them. They're also great for house/yard work!